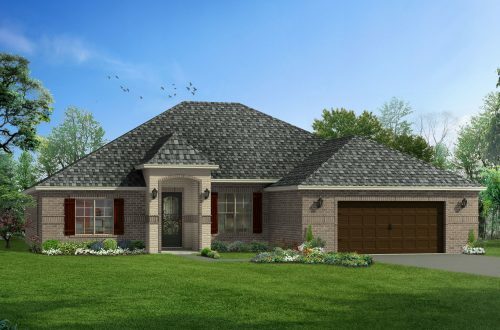 Palmetto Pointe is a beautiful community offering custom homes in Ocean Springs MS that take advantage of the natural surroundings to give residents a rural estate feel while being conveniently located. This neighborhood is in the top-rated Ocean Springs School District which is also one of the top schools to teach in! The community has a park and playground for fun with family and friends. We’re only minutes to I-10 and Highway 90 so you can get anywhere along the coast easily. There’s lots to do in beautiful Ocean Springs. Enjoy the day at the Peter Anderson Arts & Craft Festival, the largest arts festival in the state. We are less than ten miles from The Walter Anderson Museum where you can see his beautiful paintings that showcase the people, plants and animal life he loved on the coast. Fort Maurepas Park Playground is nearby and it’s built right across from the beach where there is an outdoor stage, pavilion, ship playground & splash pad. Enjoy the beauty of our natural surroundings at the Gulf Islands National Seashore Recreation area which has lots for visitors to enjoy including fishing, hiking, biking, birdwatching, picnicking, and ranger-led programs. The city of Ocean Springs has over 200 independent shops, galleries, restaurants, and nightlife which make it one of the most desired cities to live on the coast. The casinos in Biloxi are not far for even more world-class entertainment. Contact Elliott Homes today to inquire about available homes in Ocean Springs MS at Palmetto Pointe!